This is one tour which would take you through the rich and diverse region of India from the south to the North. It is one tour in which you not only would visit the beauty of heritage and spirituality of India but would also have memories which stay with you. Come and embark upon your journey that would enlighten you and your soul. 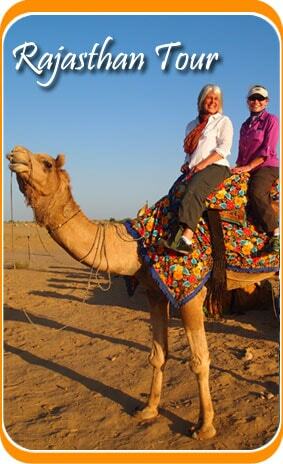 Enjoy this Jewish tour with Rajasthan and Kerala!! As you arrive at Delhi, our representative would take you to the hotel pre-booked for you. Stay at the hotel for the night. Dine and relax. Post a scrumptious breakfast; proceed to a sightseeing tour of the city of Delhi. Visit the Laxmi Narayan temple, India gate, Parliament House, Qutub Minar, Purana Qila, Humayun’s Tomb, Jama Masjid and the Rajghat. Retire to the hotel for the night. Dine and relax. After the breakfast w would move to visit the Judah Hyam Hall, which is an important Jewish study. Then we would visit the house of Mr. Baruch B.Benjamin. Stay at the hotel for the night. Dine and relax. Today we would move to Agra by road. We would also halt at Sikandra during our drive. As you arrive at Agra, check into the hotel and relax. Visit the Agra Fort. Do not forget t witness the Pearl Mosque, and the Diwan –I- Aam and the Diwan- I – Khas. Stay at the hotel for the night. Dine and relax. 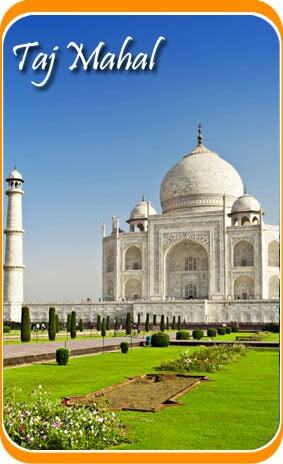 In the morning we would proceed towards our trip and visit the Taj Mahal. Then we would drive to Jaipur. On the way we would visit the Fatehpur Sikri and explore its ruins. Continue your drive to Jaipur thereafter. Stay at the hotel for the night. Dine and relax. After having a scrumptious breakfast we would move to Amer Fort with a ride on a caparisoned elephant. We would then visit the Sheesh Mahal the hall of victory. After lunch, we would visit the City Palace, the Observatory and then the Hawa Mahal or the Palace of Winds. Stay at the hotel for the night. After a hearty breakfast we would drive to Pushkar. As you arrive there, check into the hotel for the night. The evening is free at leisure. You can also visit the Arti at the temple of Lord Brahma. This temple is a very rare temple as there are literally no other temples where Lord Brahma is prayed to. Stay at the hotel for the night. Today the first thing in the morning we would drive to Udaipur. As soon as you arrive at the hotel, check in and relax. Stay there for the night. Dine and relax. The first thing in the morning, we would take a cruise through a boat on the waters of Lake Pichola. Our next stop would be the City Palace built by Maharaja Udai singh. Thereafter we would proceed to visit the beautiful Jagdish Temple also called the Jagannath Temple and then visit the Museum. Stay at the hotel for the night. Today we would board a flight to Cochin. As you arrive there, check in to the hotel pre-booked for you. Thereafter, we would visit the Fort Cochin, Santa Cruz Basilica, and Dutch Palace at Mattancherry, St. Francis Church and the Chinese Fishing Net. Stay at the hotel for the night. Dine and relax. After breakfast we would move towards the ancient North Parur Synagogue and the Chendamangalam Synagogue. Stay at the hotel for the night. Dine and relax. This day would proceed to Thekkady to visit the Periyar Wildlife Sanctuary. Upon arrival check into the hotel and relax. Later in the afternoon, we would move to Periyar Tiger Reserve with a boat ride. Spot the elephants and the exotic bird species in the vicinity of Kerala. Stay at the hotel for the night. After a scrumptious breakfast move to Alleppey which is famous for the backwaters and its houseboats. Upon arrival check into the luxurious AC deluxe houseboats and take a cruise through the villages of Kerala. You can witness the lifestyle of the locals of Kerala. Stay at the houseboat for the night. After breakfast, drive to Cochin. As soon as you arrive at Cochin, board a flight to your home country. Your Jewish tour with Rajasthan and Kerala ends here.